Starring: Owen Wilson, Rachel McAdams, Marion Cotillard, Michael Sheen, Kathy Bates, Adrien Brody, Mimi Kennedy, Kurt Fuller, Alison Pill, Tom Hiddleston, Lea Seydoux, Corey Stoll, Carla Bruni, Gad Elmaleh. An unexpectedly whimsical time-travel fable from Woody Allen. He’s not been his usual self lately, what with his ventures into London crime drama’s. But after “Vicky Cristina Barcelona” and now this, we are starting to see a glimmer of the Allen of old. Gil (Owen Wilson) is a struggling writer who takes a romantic trip to Paris with his fiancee Inez (Rachel McAdams). However, Inez finds herself drawn to academic Paul (Michael Sheen) while Gil falls in love with the city itself and is inspired by the legendary writers and artists who once inhabited it during the 1920’s. Then magically, Gil gets the chance to meet them face-to-face as he is transported back to their time in history. Owen Wilson is not exactly a favourite of mine but he equipts himself well here, channeling a Woody Allen surrogate. 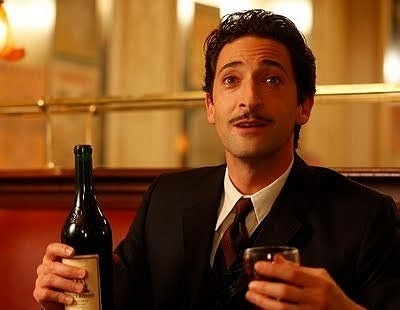 The rest of the cast also put in fine shows, particularly the pompous psuedo-intellectual Michael Sheen and the excellent, but all too brief, Adrien Brody as Salvador Dali. Not exactly what I was expecting when I went into this but it was a pleasant little film and a reminder of how rare intellectual humour is these days. Allen is one of the craftsmen of it’s kind and although this pales in comparison to his earlier stuff, his idiosyncratic style has been missing from films for far too long and its a pleasure to revisit his neurotic world. Slightly diluted Woody Allen, but still a charming little film that will please old fans and maybe even make some new ones. Delightful. This entry was posted on February 2, 2012 at 1:35 pm and is filed under Comedy, Fantasy, Romance with tags 2011. You can follow any responses to this entry through the RSS 2.0 feed. You can leave a response, or trackback from your own site. Surprised you only gave this 3 1/2 stars; this is in my top 10 of ’11. I enjoyed it a lot but I found that it wasn’t quite up to the standard of Allen’s earlier stuff. Don’t get me wrong, I was tempted to rate it slightly higher but I wouldnt have went any higher than 4stars. Do you mean his earlier stuff as in Annie Hall and Sleeper? If so, agreed. Exactly those, and also Manhattan and Bullets Over Broadway. Sweet and Lowdown was also a standout. 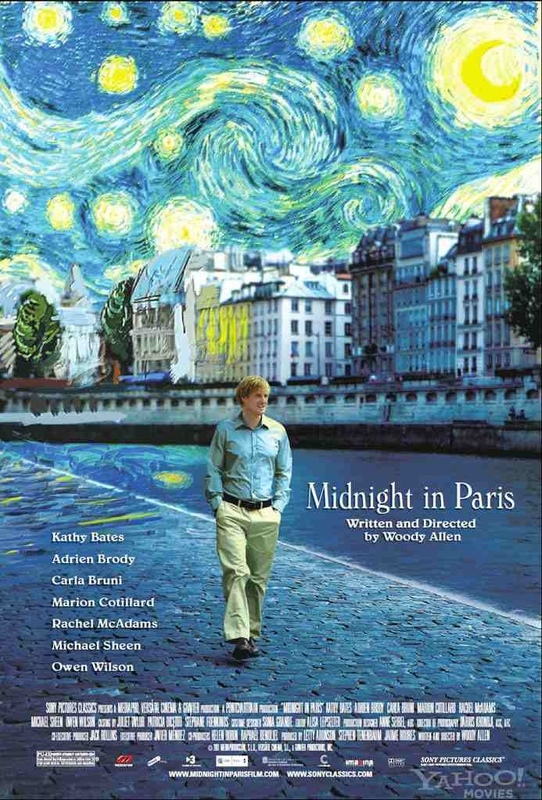 I just found that Midnight in Paris had a little something missing. Maybe it’s because I’m not Owen Wilson’s biggest fan.